I was wondering what the best way to go about finding a private ballet tutor would be? I want to look into this in case I am not accepted this year into full-time vocational ballet training, but I am just not sure how to go about finding someone. I find Melissa Hamilton's story incredibly inspiring, but even the teacher she found to work with privately she met through attending Elmhurst school for dance. Surely vocational training is not the only means of finding someone like this? I personally don't have any contacts that could put me in touch with someone, and neither does my small studio's ballet teacher. How should I go about looking for someone like this? And is it even possible to find someone? Thanks for all your help-you give such wonderful advice! I'm just in a bit of a muddle over this one! 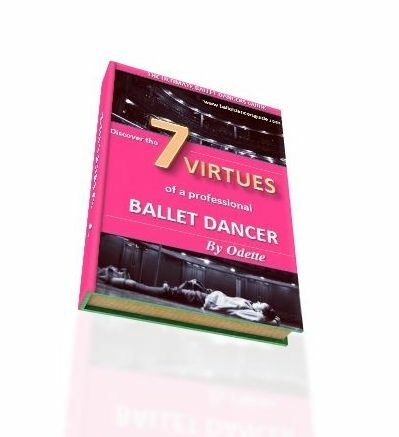 To:- Career Development Plan - Finding a Private Ballet Teacher? of you to think about all the options, not just what you want. Also, there's a ballet teacher Karen Paisley who offers private classes and has an impressive reputation for really progressing dancers onto a professional level. She is a royal ballet associate teacher, as well as a teacher at a local dance school in Bath. This is a link to her 'about me' page at the Dorothy Coleborn School for Dance, where you can read more about her teaching - http://www.dorothycoleborn.co.uk/karen-paisey/4554295694 If you were interested, I would say to contact the dance school to get more information on Karen. These are my main suggestions now, I hope it helps you and clears your thoughts. I wish you all the best on your auditions this year, don't forget to see my audition tips page for the essential advice! Comments for Career Development Plan - Finding a Private Ballet Teacher? Thank you so much Odette! I am currently a Senior Associate with the Royal Ballet school and the training has been extremely helpful! But thank you so much for the suggestion about the Dorothy Coleburn School of dance. I will definitely look into getting in touch with Ms. Karen Pasiey. Can't thank you enough for all your help and well wishes!